The Ringed Seal Year has started. 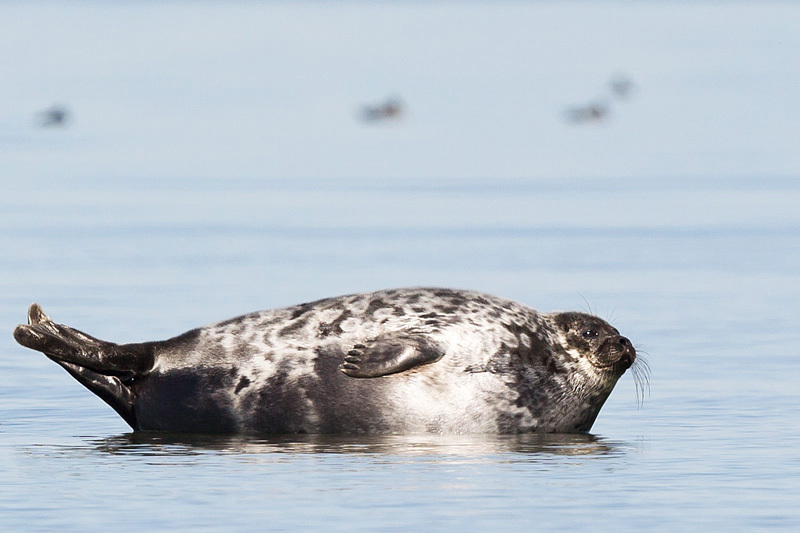 Seal researches Mart and Ivar Jüssi will talk about the animal of the year, the ringed seal and its relation the grey seal and show pictures on Monday, February 3rd, at 18.00 in the great auditorium of the National Library in Tallinn. Folk lorist Marju Kõivupuu will talk about the ringed seal in folk traditions. We will see Mark Soosaare’s film ”Vaarao sõjavägi – Pharaoh’s army” made forty years ago. The evening will be filled with music by Cätlin Jaago (bagpipes, Jew’s harp, accordion). Web transmission begins at 18 o’clock; a video record can be watchedby clicking on the imagebelow. The animal of the year was selected by Looduskalender, Looduse Omnibuss, Eesti Terioloogia Selts, Eesti Looduskaitse Selts, Estonian Fund for Nature (ELF), Eesti Metsaselts, Tallinn Zoological Garden, Estonian Museum of Natural History and magazine Loodusesõber. A nature night about the ringed seal will take place in the new Nature House in Tartu on Wednesday, February 5th, at 18 o’clock. The nature night will be dedicated to the ringed seal, selected as animal of the year. Marine mammals expert Mart Jüssi will talk about the life of seals, their importance, the state in Estonia and relations between men and seals. Since the present year is announced as the year of the Gulf of Finland we will also hear why the ringed seal is particularly suited to be the animal of the year.